I have written in previous blogs about my personal problems with Spring, and so here I am, in London (the UK one), facing, yet again, the horrors of a daylight which, like a fractious toddler, will be less and less inclined to sleep, plus the weather which can, as the mood takes it, veer from idyllic sunshine and pretty blossoms to icy wetness, and indeed, as has been recently forecast, even snow. I would choose, instead, to live in a perpetual Autumn - days full of dazzling colours followed by the quiet and introverted comfort blanket of early evening. I'm still, reluctantly, impressed, though, by all those amazing things coming out of the ground in my garden, and love the sleepy bumble bees - so strokeable (if you dare) but I welcome not the return of the house flies. I spent a profitable hour late this afternoon in conversation with author (and friend) Rosalie Warren, who also regularly blogs here. 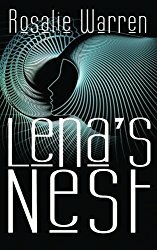 Ros is the author of a futuristic novel: LENA'S NEST, with its hypnotic cover image. She's also published two Young Adult novels: CHARITY'S CHILD and COPING WITH CHLOE. ALEXA'S SONG, another of her adult novels, I absolutely loved, and will re-read some time soon. I mentioned Vikram Seth's THE GOLDEN GATE, of which she'd never heard. It is one of the most joyful novels I've ever read, and one which Ros might choose to read when she flies to Canada in a few weeks to stay with her daughter. What impressed me most about it was the fact that it's written in verse - so challenging, and yet it reads so smoothly and beautifully. Verse and song precede prose, of course, and Homer must have been first heard in this way, but a contemporary novel set in San Francisco would be a challenge for any writer. 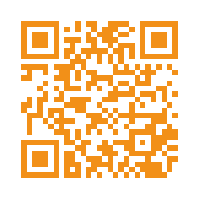 If you don't know it, seek it out. Today I was sent three artist's roughs for the cover of DOUBLE DRAGONS, my new children's book, and was asked for my order of preference which happily coincided with my editor's. This is a story which was first published in an anthology quite a few years ago, with the rights reverting to the contributors. We did send it out again from time to time, but nobody picked it up until this year, when the story re-surfaces as part of the Reading schemes Franklin Watts at Hachette specialises in, and which are such fun to do. It's a story featuring a very feisty princess who defies all the princess rules (the theme of the original anthology was one of feisty princesses and rather useless princes). My princess tames a fire-breathing, knight-gobbling dragon (there's nothing quite as tasty as barbequed knight) into setting up a local airline called DRAGON AIR - much better than Ryanair, and also free, but a trifle slower and warmer. He'd be perfect for either London or New York in the winter. It's going to be interesting to see how two very different illustrators deal with the story - I'll keep you posted. Another of my back burner stories which has had a strange publishing history is MORE, which at one point was adopted for a starter animation company based in the States, no advance involved, and the company folded, but such a fascinating project, with sound (rain and goat bells) and movement. It will now be coming out, again with Hachette, but as a book. There's a moral in this somewhere, which is always to keep that back burner work on the simmer, because you never know who might one day fall in love with it. Well I'm flying by Dragon Air, if it ever takes off. As long as no pesky St Georges get the wrong idea and challenge the plane to mortal combat, just as we're coming in to land. Congratulations on your new children's book, it sounds delightful (and the title, Double Dragons, has a wonderful ring).